So no better time to further spread the word about the Library Resource Outreach Center (LROC), in existence for about a year and a half. A unique collaboration of organizations and educational institutions located on the first floor on the Rundel Library, the Center offers hope and advocacy for those facing homelessness or imminent homelessness. The formation of the Center began with David Creek, now retired Assistant Director of the Rochester Downtown Library. As library patrons sadly know, libraries are often used by homeless people as de facto day shelters, especially in the winter. David wanted the library to be more than a temporary escape from the cold. 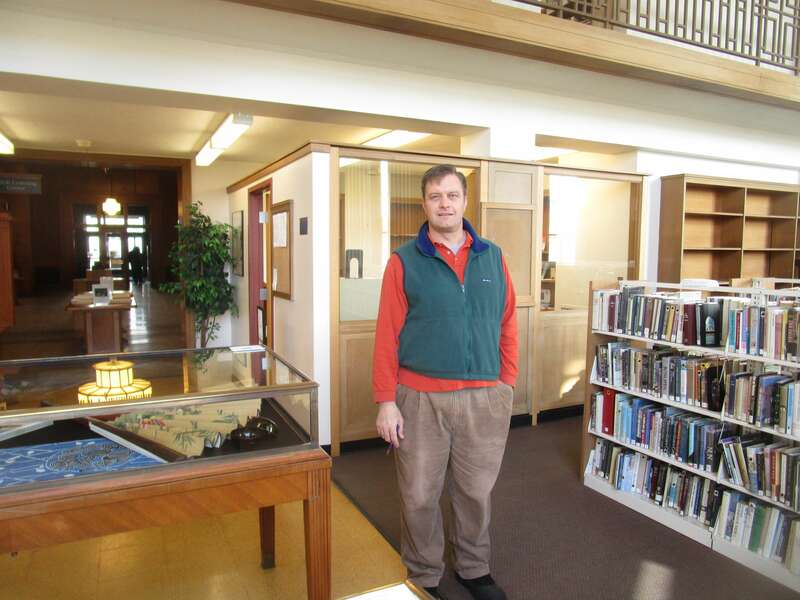 As explained by Center volunteer Andy Carey, MSW and Co-Founder of MC Collaborative, David’s vision was to bring social workers and social work interns directly into the library. After building relationships with community organizations and discussions with his friend Dr. Larry Guttmacher, David forged LROC as a unique collaboration with: Nick Coulter of the Monroe County Office of Mental Health RED Team (now co-founder of Person Centered Housing Options), Dr. Ryan Bell from the State Office of Mental Health outpatient clinic, Professor Ann Marie White of the University of Rochester Public Health and Psychology Department, as well as Andy and Christine McKinley of MC Collaborative. And the local social work community has answered the call admirably. Center volunteers include interns from the Masters in Social Work Programs of the Greater Rochester Collaborative (Nazareth and SUNY Brockport provide whole classes to assist with LROC projects), Roberts Weslyan, UR’s Public Health Department and Brockport’s B.A. in Social Work Program. Veteran social workers like Andy are there to provide both direct service and mentoring. Great community organizations have been willing to accept LROC referrals, many times on the day of the referral. I will name a few, but there are many more because the community has been very supportive of LROC: Law NY, Catholic Family Center, Baden Street Settlement, Charles Settlement, Community Place of Greater Rochester, Pre-Trial Diversion-2nd Chances Clothing, Asbury Storehouse, St. Joseph’s House of Hospitality, House of Mercy, Open Door Mission, Salvation Army, Matthew’s Closet, Monroe County Department of Human Services, etc. 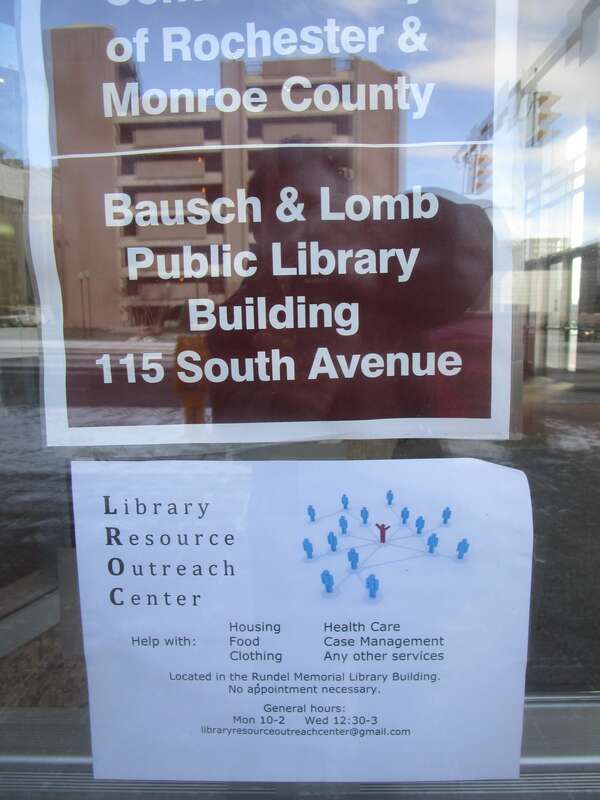 Open 6-10 hours a week, LROC has served hundreds of people in the last year and a half. This client says LROC has been a lifesaver. 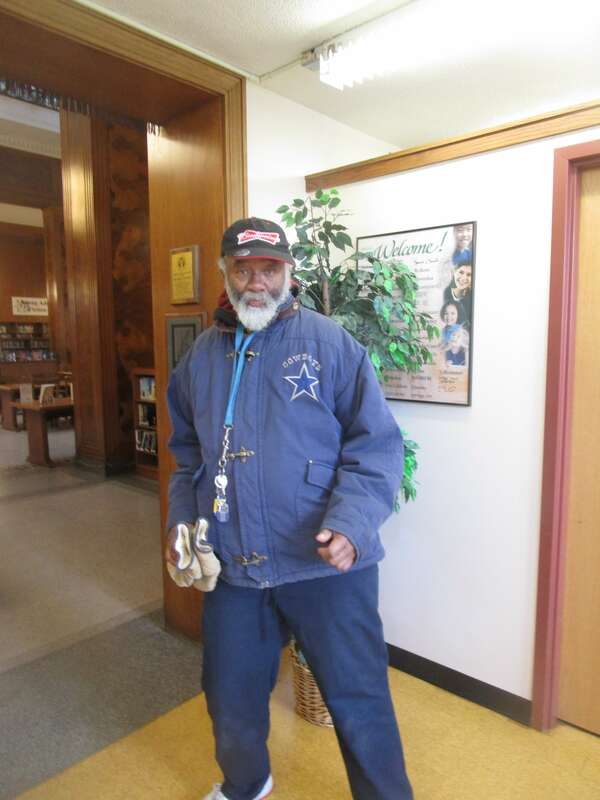 He was also quick to say he only wears the Cowboys jacket to stay warm. He’s for the Denver Broncos and Peyton Manning all the way. And it’s working because the library has been a truly effective venue for helping individuals who have traditionally been difficult to serve. Andy compares the work of the Center to that of the librarians down the hall. Like librarians, the LROC staff helps people find what they want and give tips along the way: “If a person wants boots, we will find boots. If a person wants housing, we will find housing.” That is the spirit of the LROC service. Special thanks to Andy for telling the story of the Center. He even apologized for taking a few days longer than he wanted, saying, “we did a 24 hour count this week of all unsheltered homeless individuals in the county on top of the usual work. I’m not as young as I used to be and missing a night’s sleep is rough.” No apologies needed. The days I was in the back alcove of Rundel Library I met many people appreciative of the the LROC spirit. Hoping soon the library will be a place where they just go to take out books. Deconstructing (and admiring) GeVa's "Miracle on South Division Street" through the looking glass. I had no idea that this place even existed for the homeless. I find it very pleasing=g to know that there is a place like this and that student are interning and learning first hand , the needs of the public at a very low poverty level. We need more resources and outreach services like this one around the city, and we need the people who work for these types of agencies to find ways to reach the homeless who are not aware of this public service.